The wise and insightful words of former President Bill Clinton as he spoke at the Democrat Party Convention in Philadelphia. He had the unenviable task of trying to paint a softer, kinder Hillary Clinton. As hard as he tried, it is an impossible thing to do. For as personable and likeable as Bill is, Hillary is just the opposite. She is much colder and just can't connect with people on that same folksy level. Her voice is shrill and grating. She has a ton of baggage that is really hard to gloss over. 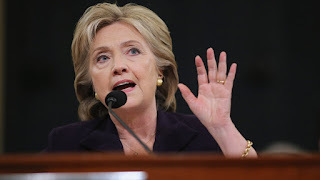 Since Bill wanted America to decide which is true and which is made up, let's introduce you to the real Hillary Clinton. The fallout from Wednesday night has been stunning to me. The speech by Sen. Ted Cruz at the Republican National Convention in Cleveland has reverberated across our republic. The boos by the Trump folks and the true disdain for Cruz, not only by Trump supporters, but by political pundits and people I have had a good deal of respect for up to this weekend, has really fired up my passionate spirit. The most ire for Cruz has come from him using the phrase, "vote your conscience". Why is this so offensive to some in our land today? I am only accountable to God and my country as I step in that voting booth. I am not accountable to the Republican Party or Donald Trump or any other person or group. It is a duty that I take very seriously and one that is proving to be much more of an issue this year. I will definitely vote my conscience in November. You may ask why? History is always fascinating. It is quite amazing how some people and groups will ignore the facts and truth of history in order to paint a false narrative and pander for votes. The politics of race is a lucrative business. There is a lot of power and money at stake so controlling and misleading a group of people becomes an art form. From the Democrat Party to the NAACP to Jesse Jackson and Al Sharpton, the leaders of the black community have a vested interest in keeping this false narrative alive and well. 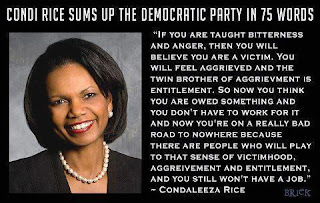 That false narrative is that the Republican Party and conservatives hate black Americans and that the Democrats are the only one who has their well-being in mind. As I got home from work Thursday night, I checked in on Twitter, like I usually do, to see what is happening. I managed to get online as the horrific news was streaming out of Dallas, TX. Five Dallas officers killed and seven more wounded. My mind first raced to all of the police officers and their families and praying for them in this tragic and appalling massacre. Then, my mind went to President Obama. 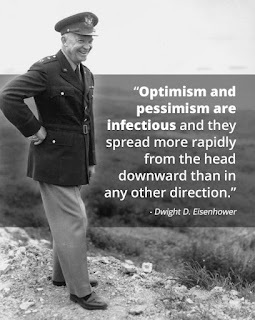 I thought of General Eisenhower and his quote that optimism and pessimism are infectious. I thought words have meaning. For several years now, President Obama has stirred the pot on racial tensions and created a racially charged atmosphere that is conducive to this kind of incident. The podium of the President of the United States carries a lot of weight. The president sets the tone of the nation. Thursday night was tragic and appalling, and my argument is that a great deal of the blame lies at the feet of Mr. Obama. Let me elaborate on this argument a bit more. Independence Day Reflections: Has Our Grand Experiment Been Lost? A republic, if we can keep it. 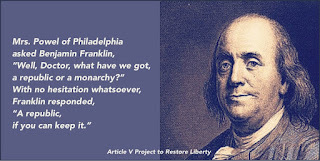 The prophetic words of Benjamin Franklin. Now, more than two hundred years later, on this Independence Day, the reality is that our republic has been lost. By that, I mean the republic our founding fathers established and painstakingly wrote out as a grand experiment. It was a clear and concise forming of a nation unlike any other in the history of the world. Uniquely designed and richly blessed with the hand of God. It was a more perfect union. Our founding fathers were quite aware of the difference between a democracy and a republic. They established a constitutional republic for a reason. We are guaranteed life, liberty, and the pursuit of happiness. Nothing more, nothing less. How each individual chooses to live their life and pursue their own happiness is up to them to decide.